Please see PDF drawing in downloads for slot hole pattern and dimensions. 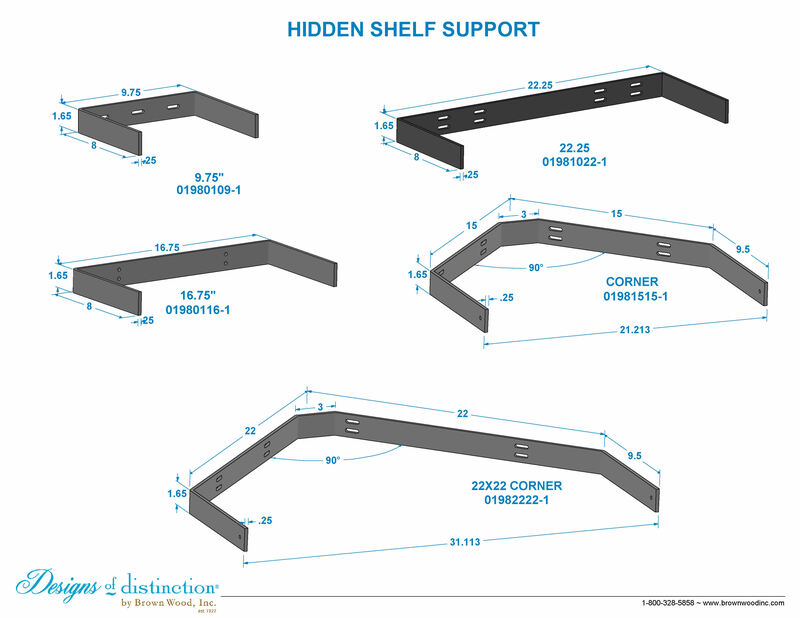 Our Hidden Shelf Supports have a load bearing capacity that makes them ideal for the open-shelving concept kitchen. The Hidden Shelf Supports are included in the purchase of our floating shelves, but can be purchased separately for you to use with your own creations. Available in 9″, 16″, 22.5″, and corner-style, the Hidden Shelf Support will ensure your shelves stay strongly put in place. Included with purchase of corner floating shelf.